CallMiner Eureka’s award-winning interaction analytics at Contact Center Week! 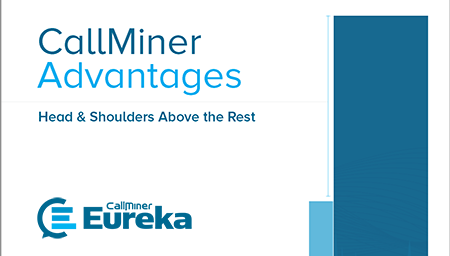 CallMiner Eureka’s Award-Winning Interaction Analytics at CCW! At CallMiner it is our mission to help your businesses improve contact center performance and gather key business intelligence by automating their ability to listen to every customer interaction. Download all the CCW content now!